Sure, ice cream's available all year-round and it's been wet weather all week here in Manila, but who can resist a sweet treat like this frozen dessert to brighten our grey, gloomy days? 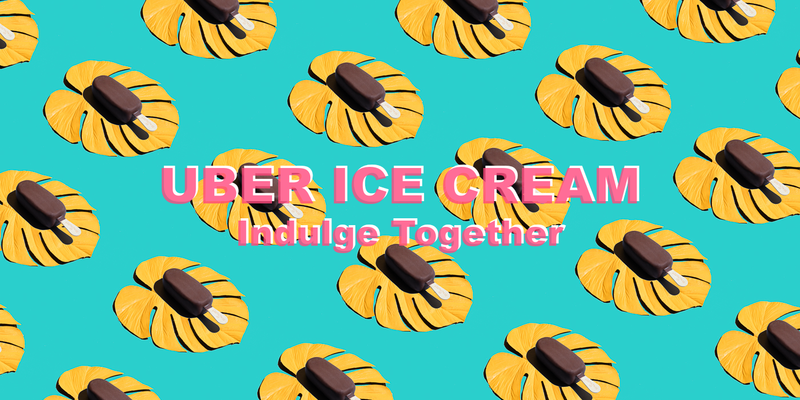 You may not relive the carefree days when you used to frolic and dance under the rain with your childhood friends and excitedly jumping on little puddles of water or enjoy a cup of soup while watching old films indoors, but you can still feel like a kid again by ordering ice cream with Uber Ice Cream. Last year, Uber indulged everyone with Merry Moo's Salted Caramel-flavored ice cream. This time, our favorite ride-sharing app has partnered with premium ice cream brand Magnum for an instant pick-me-up this coming July 15, 2016! Yes, Uber is pulling all the stops this Friday (you'll be surprised with what other cute stunts they've got up their sleeves!) to deliver 4 bars of Magnum's newest flavor, Magnum Infinity, right at your doorstep! #UberIceCream is really the place to be for those who love quirks! Open the Uber app on Friday, July 15, between 11:00 AM – 3:00 PM. If connected, order away and get 4 bars of Magnum’s latest treat: Magnum Infinity; to be delivered to you in minutes! Deliveries will be limited to the following areas only: Legaspi and Salcedo Villages, Makati; Greenhills, San Juan; Ortigas Center, Pasig; The Fort BGC, Taguig; Eastwood, Quezon City; Katipunan, Quezon City; Alabang, Muntinlupa; Taft Ave., Manila; and Cubao, Quezon City. For Cebu, the areas covered will be Ayala Center Cebu and Cebu IT Park. Don't have the app yet? You can download it from Google Play or the App Store.